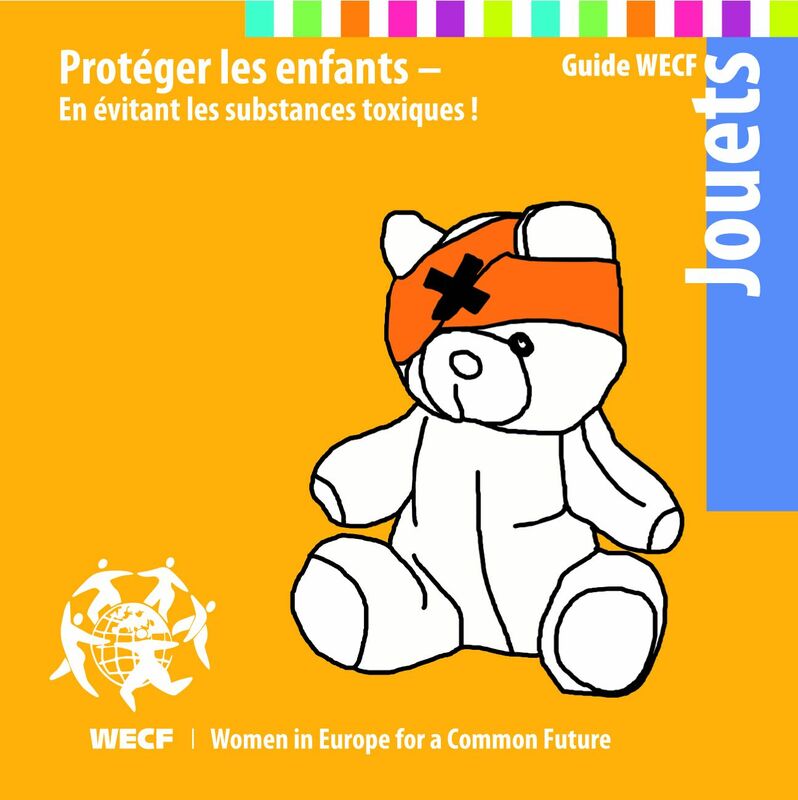 WECF has put together essential information in small guides. There are tips for everyday life consumer decisions when buying toys for children. The guide is available in several languages, such as Chinese, English, French, German, Greek, Dutch or Macedonia. The newest translation is in Estonian. You can find them on the WECF website. The articel "Toxic chemicals in toys and Childern's Products: Limitations of current Responses and Recommendations for Government and Industry" by Monica Becker, Sally Edwards and Rachel Massey was published in the environmental science and technology feature. How are governments, industry and NGOs reacting to the fact that toxic chemicals are found in toys and other childerns products? What could one of them do to tackle this thread? These are some of the questions the authors try to answer. The interest in the toxic toys issue keeps me busy - even in my holidays. 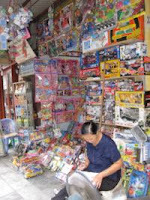 In Vietnam I read about the fact, that 85 % of toys are smuggeled from China. 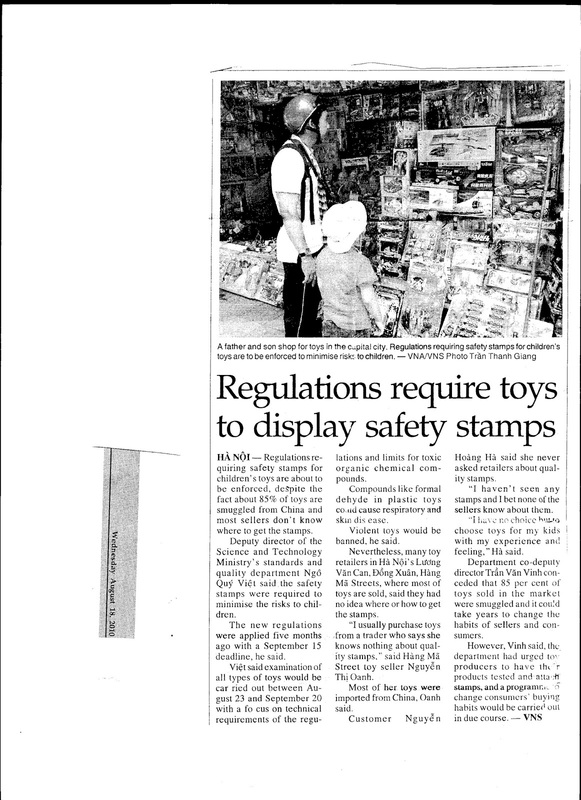 No way to judge the safety of the toys for parents - and not even for authorities. 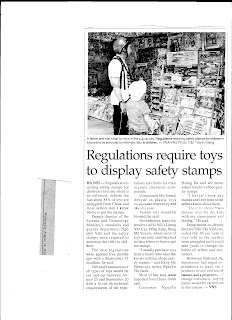 Therefore the Vietnamese authorities created a system of "safety stamps" which have to be applied to every toy before selling. See article below. Here you see a toys store in the old city centre of Hanoi. 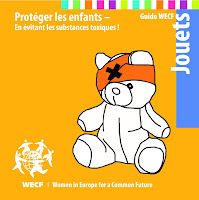 The Safe Toys Guide in French is ready to download here.